SPAR Gran Canaria is actively involved in supporting charitable organisations on an ongoing basis. Here we highlight some recent examples which underline the diversity of the causes being supported. SPAR Gran Canaria recently ran a national campaign called, ‘No kid without a moustache’, which was aimed at collecting milk to donate to children in need. In cooperation with non-profit organisation, Fundación La Caixa, one pallet of about 900 Tetra packs of milk was donated to the food bank of La Palma – giving children in need access to milk – a basic food product. In Spain there are about 350,000 children requiring support, highlighting the urgent need for a campaign like this one, which is organised every year. 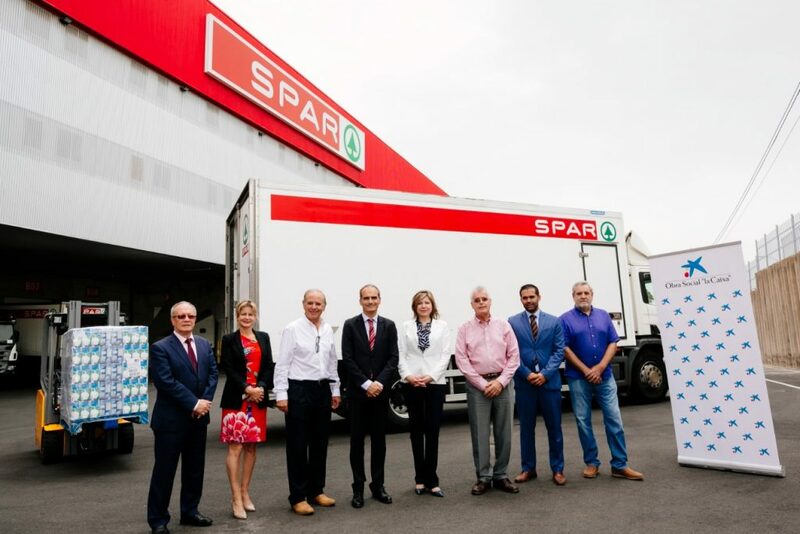 Ángel Medina and José López Peñate, President and Vice-president of SPAR Gran Canaria, were present when the donation was handed over, together with representatives of Fundación La Caixa and the Food Bank. 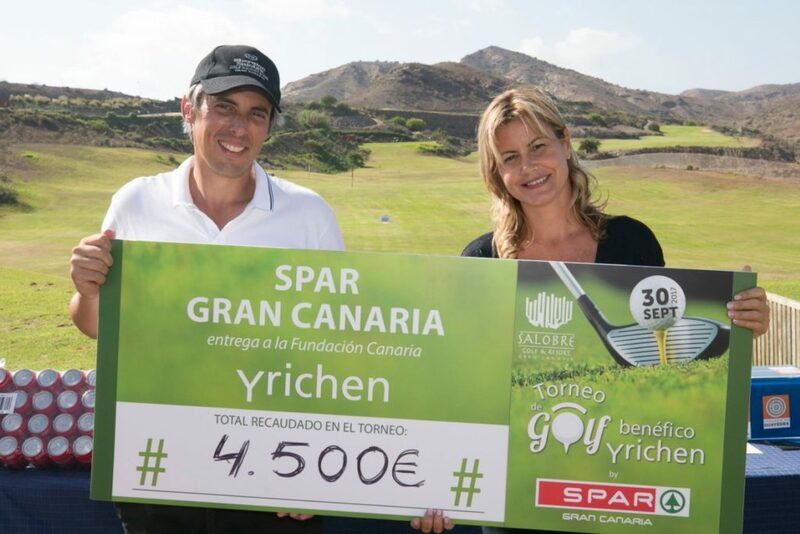 At the end of September, SPAR Gran Canaria organised a golf tournament, which raised funds for Fundación Yrichen, a non-profit organisation focusing on solidarity in the neighbourhood. An impressive 100 participants took part and a total of €4,500 was raised from the registration fees. Last year, Fundación Yrichen supported 1,500 people in need and also developed different outreach programmes at schools on Gran Canaria. The goal is to collect more money for this important social cause and as such, SPAR Gran Canaria and Fundación Yrichen have also started the initiative “HOYO 0” (Hole 0), to receive donations from companies and individuals who wish to contribute to the work of the Foundation. 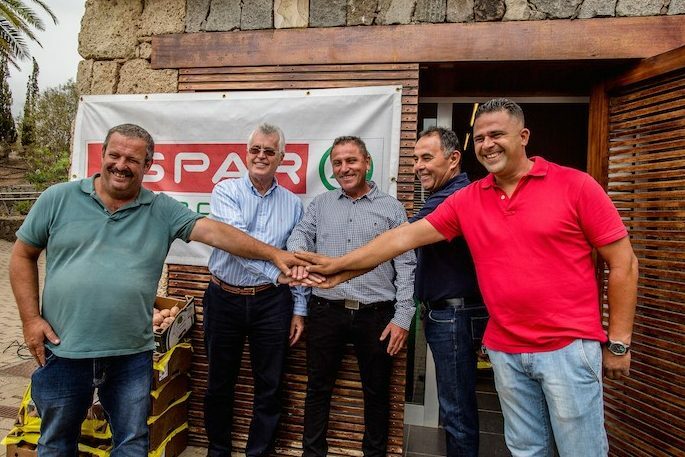 SPAR Gran Canaria and the Organisation of Farmers of Canary Islands (COAG), participated in the 2017 SPAR Gran Canaria Harvest, based on an agreement signed in December 2016 among farmers on the island of Gran Canaria. Last year, SPAR handed over 100,000 kg of seed potato varieties, which resulted in the production of 1 million kg of potatoes, sold in all SPAR Supermarkets on the island. It is the seventh year the campaign has been held, aimed at supporting local farmers, freshness, quality and the environment. Through the agreement the seed potato is pre-financed, guaranteeing prices, so that the farmers do not lose money. Under the Brand La Cosecha Canaria de SPAR, quality is pursued and sales guaranteed. Similar agreements are being held for other crops, like strawberries, pumpkins, papaya and lettuce being delivered to SPAR stores the day after harvesting.